Rodents aside, what else happened at the Scottish Labour conference? In his speech to Scottish Labour’s final conference before next May’s elections to Holyrood, Ed Miliband declared “Labour’s fight back has begun”, but what have we learnt from the weekend on Oban? 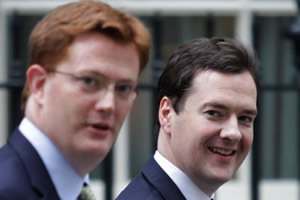 First, these’s no love lost between the Liberal Democrats and Labour, with Miliband's deputy Harriet Harman calling Lib Dem Chief Secretary to the Treasury Danny Alexander a “ginger rodent”. In his speech to Scottish Labour’s final conference before next May’s elections to Holyrood, Ed Miliband declared “Labour’s fight back has begun”, but what have we learnt from the weekend on Oban? First, these’s no love lost between the Liberal Democrats and Labour, with Miliband’s deputy Harriet Harman calling Lib Dem Chief Secretary to the Treasury Danny Alexander a “ginger rodent”. Whilst Harman’s spokeswoman later apologised for the remark, the serious point is whether, given such language, Labour would prefer to coalition with the Lib Dems or to rule as a minority government, were they unable to form a majority. However, it was Scottish Labour leader Iain Gray’s speech, made on Saturday, that was the most eagerly anticipated of the weekend. He faced two key tests – to show that he was ready to take on Alex Salmond and become first minister, and to set out a vision for the kind of Scotland he wanted to lead. • A new guarantee that every 16 and 17 year old will be given a place in work, education or training, with every qualified school lever who wants to being offered an apprenticeship. Griffin was perfectly visible – at least, with his coat and waddling – to the townsfolk. Given Salmond’s misapplication of Carrollean imagery, maybe this aint surprising.